The teaching of the Roman Catholic Church on Biblical inerrancy is clear and definitive. The Magisterium has always taught that Sacred Scripture is entirely inspired by the Holy Spirit and therefore entirely inerrant. See these quotes from the Magisterium: Seven Words on the Inerrancy of Sacred Scripture. Pope Leo XIII called this teaching “the ancient and unchanging faith of the Church”. Pope Benedict XV (speaking about Pope Leo XIII) said “these words of our predecessor leave no room for doubt or dispute.” The opposite opinion, that certain types of errors are found in the Bible, was called “absolutely wrong and forbidden” by Pope Leo XIII, and was called “already often condemned” by Pope Pius XII. 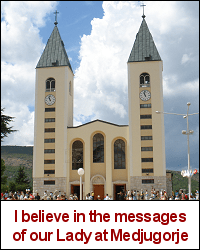 Now any teaching that is the ancient and unchanging faith of the Church, which leaves no room for doubt or dispute, whose denial is absolutely condemned by the Magisterium, and which has been unequivocally taught by several Popes, must be infallible. In fact, this is the description of an infallible teaching. Every infallible teaching of the Magisterium is drawn from the ancient Sacred Deposit of Faith (Tradition and Scripture). Every infallible teaching is unchanging and unchangeable truth. Every infallible teaching leaves no room for doubt or dispute. A non-infallible teaching may change over time, due to the development of doctrine. A non-infallible teaching allows for a limited possibility of error, and therefore a limited possibility of doubt or dispute. A mere theological opinion allows much room for doubt and dispute. Only an infallible teaching excludes the possibility of faithful doubt or faithful dispute. And the assertion that the contrary opinion (which allows for some errors in Scripture) is “absolutely wrong and forbidden” and has been “often condemned” by the Magisterium also indicates an infallible teaching of the Universal Magisterium. For Ecumenical Councils have often taught infallible truths by absolutely condemning and forbidding the contrary opinion. So the definitive and repeated condemnation of the contrary opinion by the Magisterium also supports the conclusion that the teaching is infallible. The teaching that Sacred Scripture is entirely inspired and entirely inerrant is infallible under the ordinary and universal Magisterium. But there is more. Two Popes have asserted that this same teaching was solemnly defined by more than one Ecumenical Council. Pope Leo XIII asserted that this teaching on inspiration and inerrancy was “solemnly defined in the Councils of Florence and of Trent, and finally confirmed and more expressly formulated by the Council of the Vatican” [i.e. Vatican I]. 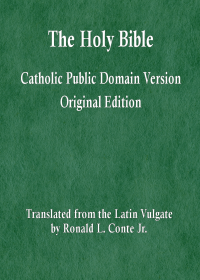 And Pope Pius XII described the teaching of the First Vatican Council that Scripture is “revelation without error … written under the inspiration of the Holy Spirit” as a “solemn definition of Catholic doctrine.” Any truth on a matter of faith or morals solemnly defined by an Ecumenical Council is an infallible teaching of the sacred Magisterium. This teaching on total inspiration and total inerrancy also falls under Conciliar Infallibility. And there is still more. The teaching of Pope Leo XIII in Providentissimus Deus meets all of the criteria for Papal Infallibility. The above quote from Providentissimus Deus is from the Roman Pontiff, speaking as shepherd and teacher of the whole Church. He says that a particular teaching is ancient and unchanging, and that the contrary opinion is absolutely wrong and forbidden. This wording proclaims a definitive teaching. The inspiration and inerrancy of Scripture is an important doctrine on a matter of faith. And since the Pope says that this is the faith of the Church, “ancient and unchanging”, the rejection of which is “absolutely wrong and forbidden”, the doctrine must be held by the whole Church. All of the conditions for an infallible papal teaching are met. This teaching on total inspiration and total inerrancy also falls under Papal Infallibility. Some teachings of the Magisterium are infallible under Conciliar Infallibility, some under Papal Infallibility, many under the Universal Magisterium. But this teaching on Biblical inspiration and inerrancy is infallible under all three. And yet the majority of theologians and Biblical scholars dare to reject this ancient and unchanging teaching of the Church, openly asserting and teaching that the Bible contains errors of certain kinds. The claim that the Bible contains errors on matters other than salvation, or on matters other than on faith and morals, or various other explanations of which types of errors may be present is one of the most common heresies in the Church today. This heresy of limited inerrancy (or even of no inerrancy) is causing grave harm to the poor and weak flock of Jesus Christ in the world today. Many souls are being harmed by this false teaching. For once a person believes that the Bible contains errors, he begins to think he sees errors everywhere in the text, he begins to doubt every passage. Then, when he encounters a passage teaching any doctrine contrary to the prevalent opinion in sinful secular society, he labels it an error. If Sacred Scripture can contain errors, then Sacred Tradition could also contain errors, for Tradition and Scripture are the two co-equal parts of the Sacred Deposit of Faith — which no longer seems at all sacred once we accept the heretical claim of limited inerrancy. The person who falls prey to the false teaching of errors in Scripture soon has no difficulty accepting that there are errors in Tradition as well. Then finally the third pillar of truth in the Church falls to the ground: the Magisterium. For the Magisterium teaches that this living teaching office of the Church is not above the word of God, whether written as Scripture or handed on as Tradition, teaching and drawing from this one Sacred Deposit of Faith everything which it presents for belief as divinely revealed (cf. Dei Verbum, n. 10). So if Tradition and Scripture contain errors, and the Magisterium teaches only from Tradition and Scripture, then the Magisterium would be teaching from error. The result is that the person no longer believes in the teachings of Tradition or Scripture or the Magisterium. Infallibility is ultimately rejected, not merely limited. Next, the person who rejects total inerrancy eventually falls away from the true faith, and is blown about by the changing winds of baseless opinion. For the three sources of truth in the true holy Catholic Faith, Tradition, Scripture, Magisterium, have been taken away. This progress from doubting inerrancy to falling away from faith in all that the Church teaches is not merely theoretical. Many Catholics have fallen away from the true faith, and the heresy of limited inerrancy is no small part of the reason.